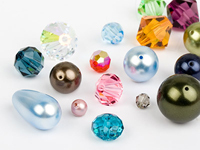 This well-designed directory gives you cent percent information of the leading exporters, manufacturers and suppliers of beads like magnetic beads, millefiori bead, round beads, silver foil beads, Swarovski beads, venetian beads, wire wrap beads, etc. This directory provides complete contact information of these in order to make them easily approachable. You get their contact numbers, email ids, address etc. so that you can easily contact them as per your own convenience. Besides, you can send innumerable trade inquires to any of the listed companies and also visit their websites in order to know more about the companies and their entire array of products. This section of gemstones is so divided that it eases your search of the desired gemstone like carnelian stone, synthetic gemstones, synthetic diamonds, cubic zirconia, corundum, moissanite, color gemstone, loose gemstones, etc. 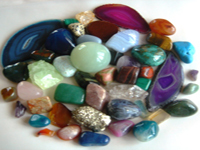 Moreover, this company enables you to easily contact numerous manufacturers, exporters and suppliers of gemstones. It easily let you procure information like address, telephone number, email ids etc. These companies provide numerous choices for you to choose from and crack the best suited deals. 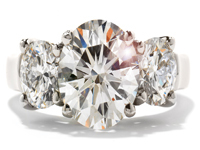 This category of diamond jewelry is further divided into sub categories like diamond bracelets, diamond earrings, diamond necklace, diamond pendants, diamond rings, etc. It is done so that you can easily make your choices and accordingly choose the most appropriate company. You can easily contact these companies by acquiring their contact information from herein. Websites of various enlisted companies are accessible which you can visit by clicking on the website link. In addition to it, countless trade inquires can be sent to the companies using the inquiry link provided in the same webpage. This online B2B directory will acquaint you with some of the finest international and national companies dealing in various types of ethnic and regional jewelry. Moreover, this directory is so divided into different categories that it makes your job easier. These categories are Indian jewelry, mangalsutra, Victorian earrings, Victorian pendant, Victorian rings¸ brass bangles¸ religious jewelry, traditional jewelry, etc. Clicking over any category will lead you to a group of manufacturers, suppliers, exporters and importers of the vibrators. You can contact these by easily procuring their complete contact details from herein. You can get different types of details like the phone number, email id etc. This enables you to contact them as per your convenience.